Despite the many positive impacts of Joon, in particular the invaluable contribution of the teams at Joon who launched the company and worked with passion and dedication, the brand was difficult to understand from the outset for customers, for employees, for markets and for investors. The simplification of the brand portfolio, while capitalizing on the Air France mother brand, is an undeniable asset for our employees, our customers, and indeed all stake holders. It would also enable Air France to complete this integration without impacting the efficiency of the Air France-KLM Group. 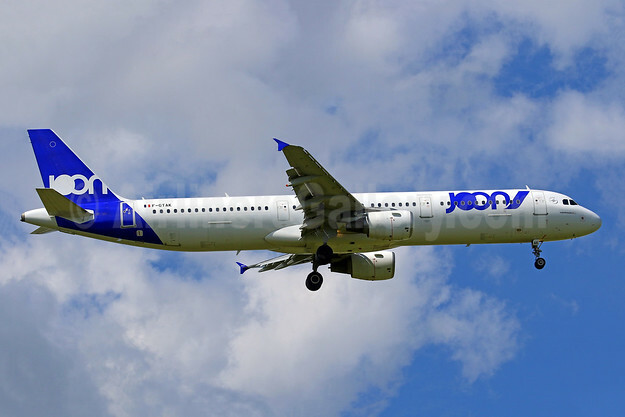 Top Copyright Photo (all others by Joon): Joon (Air France) Airbus A321-211 F-GTAK (msn 1658) CDG (Manuel Negrerie). Image: 942239. This entry was posted in Air France, Joon and tagged Air France, Airbus A321-211, F-GTAK, Joon, Joon (Air France), msn 1658 on January 11, 2019 by Bruce Drum.